Shanghai Normal University, China, B.S. 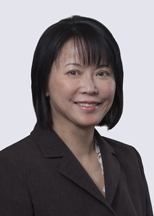 Lucy Yang is an intellectual property attorney with 17 years of experience as in-house counsel in the pharmaceutical industry and four years of experience as a chemist. She has significant experience in drafting and prosecuting patent applications for inventions in small molecules, chemical processes, pharmaceutical formulations, novel methods of treatments, novel chemical forms, and vaccines.